If this list is overwhelming, use our investment selection tool to narrow it down! We’ve queried our database of tax-free investments and selected ones that match your risk level and time horizon. So using the inputs you gave us on the previous page, we’ve queried our database for products that fit. If you want to change your time horizon or risk tolerance, please use the investment picking tool again. Click the i next to each investment for more information about it. You can also click on the “contact me” links to have subscribing investment providers contact you. The portfolio is designed to deliver investment returns in excess of consumer price inflation over the medium-term. Some level of volatility and capital movements is to be expected over the short-term. These portfolios generally hold more equity exposure than low risk portfolios but less than high risk portfolios. In turn the expected volatility is higher than the low risk portfolios but less than high risk portfolios. The 28E Capital Tax-Free Trading account allows individuals to invest in a select range of Satrix ETF products available on the JSE. Benchmark Used: The benchmark used will depend on the ETFs invested in. The portfolio objective is to provide a consistent positive return above inflation over the medium term, whilst aiming to protect capital over the longer term, with moderate risk to investors. The fund will use a diversified asset allocation strategy by investing across all classes of assets to lower the overall risk profile of the fund and will predominantly invest its assets in South African investments and financial markets at all times. Securities to be included in the fund will be non-equity securities, assets in liquid form and equity securities acquired on exchanges. The fund is managed according to the guidelines as set out in regulation 28 of the pension funds act and is suitable for retirement funds investments. The fund aims to offer investors a consistent return of 5% above inflation as measured by the SA Consumer Price Index over rolling 60 month periods. The fund will use an active asset allocation strategy by investing in selected JSE listed shares, quoted property trusts, bonds, money market and international assets. The equity content may range from 40% to 65%. The fund is managed according to the guidelines as set out in Regulation 28 of the Pension Fund Act and is suitable for retirement funds investments. The fund aims to provide investors with a reasonable level of current income and maximum stability for capital invested. It is a specialised fixed-income fund, ideal for short-term investments and aims to provide a reasonable level of current income and capital stability. It outperforms cash over time and hedges against interest rate volatility. The Absa Income Enhancer provides a higher level of income than a traditional money market fund and is suitable for risk-averse investors who require a regular stream of income from their capital base. Absa Inflation Beater fund is a specialist portfolio that will predominantly invest its assets in South African investment markets and seeks to provide above average income and capital growth. The fund uses an active asset allocation strategy by investing in shares, income-bearing instruments and fixed-interest instruments, with major exposure to inflation-linked bonds. The majority of the fund is invested in South African fixed-income assets, including bonds, gilts and corporate bonds with either short, intermediate or long terms to maturity, non-equity securities and securities acquired on exchanges. Shares are limited to a maximum of 20% of the portfolio. The fund aims to offer investors long-term capital growth. The fund invests in large capitalisation shares from the FTSE⁄JSE Africa top 40 index. The majority of the equity securities will be large capitalisation shares from the FTSE⁄JSE Africa top 40 index. The fund objective will be achieved by committing to the abiding principles of value investing. The fund will predominantly invest in securities of an equity nature. Our equity investment process is primarily bottom-up stock-picking and valuation focused. The portfolios are managed in line with our pragmatic value investment approach, with the objective of providing real returns to clients. The main objective of the Absa Managed fund is to manage the asset allocation strategy so as to maximise capital growth and income over the long term. The fund will use an active asset allocation strategy by investing in selected JSE listed shares, quoted property, bonds, money market and international assets. The portfolio will have a general bias towards equity. The fund is managed according to the guidelines as set out in Regulation 28 of the pension funds act and is suitable for retirement funds investments. The primary performance objective of the portfolio is to obtain as high level of current income as is consistent with capital preservations and liquidity. The fund aims to achieve this by investing in graded short-term money market instruments. The fund invests principally in cash, deposits and money-market instruments. The fund has a maximum weighted duration of 90 days. The fund’s objective is to provide the investor with a total positive return over the medium to longer term and not to have a negative return over a rolling twenty four month period, at a medium level of risk to investors, whilst at all times remaining within the guidelines of prudential funds. The fund’s objective is to provide the investor with a total positive return over the medium to longer term and not to have a negative return over a rolling twenty four month period, at a medium to high level of risk to investors, whilst at all times remaining within the guidelines of prudential funds. The fund actively allocates between asset classes to achieve its objective. Securities included in the fund consist solely of participatory interests of collective investment schemes and assets in liquid form. The fund is managed according to the guidelines as set out in Regulation 28 of the pension funds Act and is suitable for pension fund. The fund’s aim is to provide the investor with a positive return over the medium to longer term and not to have a negative return over a rolling twelve month period, at a medium level of risk to investors, whilst at all times remaining within the guidelines of prudential funds. It offers diversification in terms of asset classes, geographic areas, currencies and investment strategies, seeks to achieve real target returns over specific time periods and combines the collective expertise of selected asset managers with proven track records. The Absa Multi Managed Wealth Preservation fund of funds can be applied based on considerations relating to time, risk and⁄or target returns. It is suitable as a holistic or core long-term portfolio solution with a strong focus on capital protection, which reduces investment risk in volatile markets. The fund is an actively managed fund for investors seeking exposure to SA and international markets. The fund’s aim is to provide the investor with a positive return over the medium to longer term and not to have a negative return over a rolling twelve month period, at a medium to high level of risk to investors, whilst at all times remaining within the guidelines of prudential funds. The Absa Multi Managed Wealth Protection Fund of Funds can be applied based on considerations relating to time, risk and⁄or target returns. It is suitable as a holistic or core long-term portfolio solution with a strong focus on capital protection, which reduces investment risk in volatile markets. The investment objective of the Absa Opportunity Income fund of funds will be to maximise overall return in income, while at the same time protecting capital. The securities included in the fund will, apart from assets in liquid form, consist solely of participatory interests of collective investment schemes operated in territories with a regulatory environment. It invests in money market, fixed-interest, listed property and preference shares collective investments schemes. The fund seeks to provide real returns with the need for protecting capital. It is actively managed with a flexible fixed-interest mandate and serves as an alternative to money market and income funds. It further offers the ability to invest offshore and additional opportunities for yield enhancements. The fund aims to provide investors with income and growth over the medium to longer term at medium to high risk, predominantly obtained in the South African listed property market. The majority of its assets will be invested in South African investment markets at all times and will predominantly be invested in securities of a property equity nature traded on South African exchanges, participatory interests that derive income and growth of a property nature, as well as non-equity securities. The Absa Property fund is a specialist fund, ideal for medium to long-term investments. It offers diversification from general equity shares and aims to provide capital growth over the medium to long term. The fund is of a higher risk than the traditional fixed-interest or income fund and is suitable for investors who seek exposure to the JSE-listed property sector. The Absa prudential fund of funds aims to provide investors seeking a prudentially managed investment with steady capital growth, dividend income and a reasonable level of interest income as well as stability of capital invested.The fund will consist of participatory interests of collective investment schemes within the South African market, assets in liquid form and other permitted non-equity securities. The fund may also include participatory interests or any other form of participation in collective investment schemes or other similar schemes operated in foreign territories. The Absa Select Equity Fund aims to offer investors solid long-term capital growth and income through investments in selected JSE-listed companies.The fund is focused on stock selection and will invest primarily in South African-listed equities.Additional securities which may be included are non-equity securities, assets in liquid form and other income-bearing instruments and securities. A minimum of 75% of the fund’s assets will be invested in equities at all times. The Absa Smart Alpha Equity fund aims to provide investors with sustainable capital growth over the medium to long term. The Absa Smart Alpha Equity fund is a domestic, general equity fund, using a proprietary quantitative process. This fund is a quasi-passive fund which invests in securities predominantly through indices whilst generating Alpha using quantitative asset allocation techniques. Securities to be included in the Absa Smart Alpha Equity fund will be assets in liquid form and equity securities acquired on exchanges (as legislation permits), listed and unlisted financial instruments and securities. The Absa Smart Alpha Income fund takes advantage of mispricing of RSA government issued bonds across the yield curve. The market risk that the fund is exposed to through its duration, is priced daily by the market is reflected in the fund valuation.The fund provides an alternative to the credit enhanced yield cash fund and has no lock-in period.80% of the funds are invested in cash instruments issued by the major banks in South Africa and the remaining 20% is used to generate the additional returns. The portfolio charges a flat fee with no related performance fees. The Absa Smart Alpha property fund takes advantage of a value proposition to generate excess return in the listed property market. Equity managers have successfully made use of a value methodology in an attempt to outperformance market capitalisation weighted indices.Although AAM’s strategy does allow for a relatively broad reweighting of the index, AAM limits the tracking error component by ensuring that the divergence is minimal. AAM’s process in constructing listed property portfolios is extremely rigorous ensuring a consistent investment approach that maximises the probability of outperformance.Furthermore, AAM believes in minimising costs related with portfolio construction and makes every attempt to minimise portfolio turnover and related trading costs. The portfolio charges a flat fee with no related performance fees. With the Absa Tax Free Investment Account you can invest in a choice of unit trusts, exchange traded funds and wrap portfolios to meet your risk appetite. All returns are tax free, including income, dividends, interest, and capital gains. With Absa’s Tax-Free Savings Account you get a tiered interest rate that increases as savings grow, immediate access to your money and can add to your savings whenever it suits you – subject to the current tax-free limits. You can also link your Tax-free Savings account to your other Absa accounts. Absa Stockbrokers’ TFSA offers investors the full range of listed exchange traded funds at low cost, with no membership/admin fees. Absa Alternative Asset Management (Pty) Ltd (“AAM”) believes that equity market exposure is required to sufficiently outperform inflation over the longer term, but there is significant risk of shorter term capital loss.Following a period of strong real returns from money markets, we have now entered a period of real return expectations well below long term average and even negative. The SA equity market has performed strongly over the last 10 years, indicating downside risk from current levels; other asset classes are in line with long term real return expectations.The Absa Wealth Preserver Plus Fund is designed to meet dual investor objectives of attractive long-term real returns and limited shorter term capital loss. The Fund is not only focused on preserving capital, but also on providing inflation-beating returns through significant exposure to equity markets. The Fund provides an absolute return fund solution with a relatively high allocation (up to 75%) to protected equity exposure versus its competitors. An African Bank Tax-free Investment, provides you with an opportunity to save money and enjoy returns without incurring tax costs on the interest earned. The investment is fixed for a period of 12 months. Funds can, however, be accessed within 48 hours where circumstances require urgent access. Early withdrawal of up to 10% of the value of the initial investment is possible. As per the applicable legislation, the annual limit is R30,000 per customer. 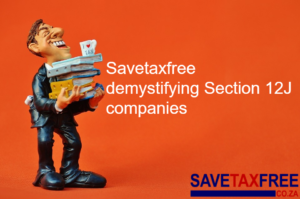 The Tax-Free Savings Account (TFSA) allows you to invest your money and never worry about paying tax on it. Investors can contribute a maximum of R33 000 per anum and never have to pay taxes on interest earned, dividends received or capital gains taxes. The investment can be made either into cash (via the JSE Trustees Account) or into one or more of the approved exchange traded funds. Annual Cost: An annual management fee of 0.5% per annum on the assets managed is charged quarterly. The objective of the portfolio is to generate capital growth over the long term, through investing in a combination of asset classes. The portfolio is benchmarked against CPI + 5% calculated over a rolling three-year period. The objective of the portfolio is to generate moderate capital growth over the medium term, through investing in a combination of asset classes. The portfolio is benchmarked against CPI + 3% calculated over a rolling three-year period. The portfolio aims to achieve long-term, inflation-beating returns through exposure to equities. It is a specialist equity portfolio that reflects Alexander Forbes Investments’ best view for a moderate risk equity portfolio, by combining managers with differing investment styles, in order to create a focused, but suitable combination of securities for longer-term diversification. The portfolio aims to achieve both capital growth and income with a focus on income yield relative to income growth. It targets a near full exposure to listed property shares, but at times may hold assets in liquid form, other non-equity securities, as well as listed and unlisted financial instruments, in accordance with the South African Real Estate General Portfolios fund classification category. This portfolio aims to achieve above inflation returns of 4% ahead of headline CPI after tax, on a three-year rolling basis, at a low risk, under any market conditions. It is benchmarked against Headline CPI + 4% calculated over a rolling three-year period. This is an income portfolio. The investment objective of the portfolio is to provide a superior return in excess of money-market portfolios while maintaining a high degree of liquidity and capital preservation. The Allan Gray Money Market Fund invests in South African money market instruments with a term shorter than 13 months. These instruments can be issued by government, parastatals, corporates and banks. The fund is managed to comply with regulations governing retirement funds. While capital losses are unlikely, they can occur if, for example, one of the issuers of an instrument held by the fund defaults. In this event losses will be borne by the Fund and its investors. Benchmark Used: Alexander Forbes Short Term Fixed Interest (STeFI) Composite Index. The Allan Gray Tax-Free Balanced Fund is a fixed-fee version of the flagship Allan Gray Balanced Fund. 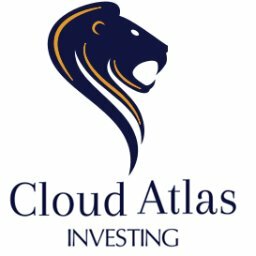 Tracks the Cloud Atlas AMI Real Estate ex-SA index. The primary objective of the Ashburton Balanced Fund is to generate long-term, inflation-beating returns over a three year period. The fund aims to meet its objectives through investing across a wide range of domestic and international asset classes which include equity, bond, property and money market. The fund can have a maximum equity exposure of 75% and is limited to a maximum offshore exposure of 25%. The portfolio will be actively managed with exposure to various asset classes being varied to reflect changing economic and market circumstances, in order to maximise returns for investors. Provides investors with efficient exposure to the global equity market by tracking the S&P Global 1200. It is constructed as a composite of seven headline indices: the S&P500 (US), S&P Europe 350, S&P TOPIX 150 (Japan), S&P/TSX 60 (Canada), S&P/ASX All Australian 50, S&P Asia 50 and S&P Latin America 40+D47. The fund offers investors long-term capital growth through a balanced mandate of global asset allocation, with access to emerging market growth opportunities. To achieve this, the fund invests across a broad range of asset classes including international equities, bonds, cash and property markets. Investments are made both directly into these markets, and indirectly through participatory interests in other collective investment schemes. The aim of the Ashburton Inflation ETF is to provide investors with a real rate of return above inflation (CPI), through exposure to a diversified portfolio of government inflation-linked bonds. The fund invests in bonds based on the value issued by National Treasury and is listed on the JSE. The Ashburton Inflation ETF to tracks the performance of the Government Inflation-Linked Bond Index (GILBx). GILBx is a weighted basket of South African government inflation-linked bonds. The ETF tracks the component bonds of the index in proportion to the index weightings. Inflation returns interest to investors quarterly. The initial amount invested in the ETF will increase in line with inflation, while paying real distributions to investors. The Ashburton MidCap ETF’s objective is to provide investors with exposure to the South African equities market through the purchase of a JSE listed ETF. The fund invests in the 41st to the 100th largest companies on the JSE in terms of market capitalisation. It aims to provide returns linked to the performance of the FTSE/ JSE MidCap Index. The ETF tracks the component equities of the index in proportion to the index weightings. The FTSE/JSE MidCap index contains the 60 largest companies listed on the JSE that are not included in the FTSE/JSE Top40 Index in terms of market capitalisation. The Ashburton MidCap ETF pays a quarterly distribution to investors which is made up of any dividends or interest earned from the underlying shares. The fund seeks to maximise interest income, preserve capital and provide immediate liquidity for investors. It will invest in a diversified portfolio of money market instruments. The maximum term of instruments included will be limited to 13 months and the weighted average duration will not exceed 3 months. The Ashburton SA Equity Fund aims to achieve capital growth and deliver returns ahead of the FTSE/JSE All Share Index (Total Return) over the long term. The fund is a specialist portfolio focusing on high interest bearing investments. It aims to provide relative capital stability and optimal income returns from interest earning securities. In order to achieve these objectives, the fund comprises a combination of bonds, fixed deposits and other interest earning securities which have a fixed maturity date and either have a predetermined cash flow profile or are linked to benchmark yields. The fund will not invest in equity securities, real estate securities or cumulative preference shares. The primary objective of the Ashburton Targeted Return Fund is to outperform CPI + 3.5% over a rolling 3 year period. The secondary objective is to offer stable positive returns over a 12 month rolling period. The fund may comprise a combination of assets in liquid form, money market instruments, corporate debt, equities, property shares, convertible equities, preference shares, bonds, non-equity securities, offshore assets and any other securities. The fund can have a maximum equity exposure (including global equities) of 40% and is limited to a maximum offshore exposure of 25%. The fund aims to meet its objectives through a conservatively managed diversified portfolio, generating capital and income growth by focusing on active risk management and asset allocation. The fund complies with Regulation 28 of the Pension Funds Act, 1956. The Ashburton Top40 ETF aims to provide investors with exposure to the South African equities market through the purchase of a JSE listed ETF. It invests in the 40 biggest companies listed on the JSE based on their market capitalisation. The RMB Top40 ETF aims to provide returns linked to the performance of the FTSE/JSE Top40 Index. The ETF tracks the component equities of the index in proportion to the index weightings. The FTSE/JSE Top40 index contains the 40 largest companies in terms of market capitalisation listed on the JSE. The RMB Top40 ETF pays a quarterly distribution, which is made up of any dividends or interest earned from the underlying shares. Invests in the global bond market by tracking the Citi World Government Bond Index (WGBI). Take the guesswork out of your future financial planning and start saving today for a specific goal. Whether it is for your children’s education, buying a car, taking a holiday or buying a house. With our savings plan it is easy. Our premiums are affordable and we can tailor-make it according to your requirements. Create a savings plan today and encourage your friends and family to do the same. Remember, it’s never too early or too late to start saving. The Bridge Balanced Fund is a multi-asset class fund with the objective of providing investors with high capital growth over the investment term. It achieves this by investing in an appropriate portfolio of equities, fixed interest securities, money market instruments and listed property. The portfolio’s exposure to equity instruments may be as much as 75% of the total portfolio. The fund complies with all prudential requirements and regulations governing retirement funds. The Grindrod Diversified Preference Share Fund provides investors with an above average after tax yield in the form of dividends. This is achieved by diversifying the portfolio’s holdings across various preference shares and dividend yielding assets. A minimum 80% will be invested in preference shares classified as share capital in their respective issuers balance sheet. The investment objective of the portfolio is to seek a high level of income (more in the form of dividends) and long-term growth in dividend income in excess of the rate of inflation such that the portfolio will produce a total return in excess of the average of the ASISA South African Equity General sector at lower levels of volatility. Income will be a key component of the portfolio. The risk profile of this portfolio to the investor will be above average, due to its prominent exposure to the equity risk factor. The primary objective of this feeder fund is to provide the investor with a balanced consistent income and capital appreciation over the long term. To achieve its investment objective the portfolio will, apart from assets in liquid form, consist solely of participatory interests in the Bridge Global Managed Growth Fund (the underlying Fund) which is the sub-fund of Sanlam Universal Funds Plc. The Grindrod Global Property Income Feeder Fund (formerly Grindrod Global Property Income Fund) is a specialist global property portfolio with the objective of providing investors with high current income and long-term capital appreciation. It achieves this by investing in the Grindrod Global Property Income Fund (GGPIF) which is domiciled in Ireland. The GGPIF invests in real estate securities listed on international stock exchanges. 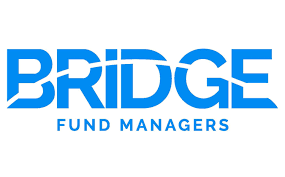 The Bridge High Income Fund’s objective is to provide investors with a high current income and low capital volatility. It achieves this by investing in a portfolio of fixed interest and listed property securities. The portfolio is managed according to a low-risk profile. The Bridge Managed Growth Fund is a multi-asset class fund with the objective of providing investors with long-term income and capital growth at moderate risk levels. It achieves this by investing in a portfolio of equities, fixed interest securities, money market instruments and listed property. The portfolio’s exposure to equity instruments varies between 40% and 65% of the total portfolio. The fund complies with all prudential requirements and regulations governing retirement funds.